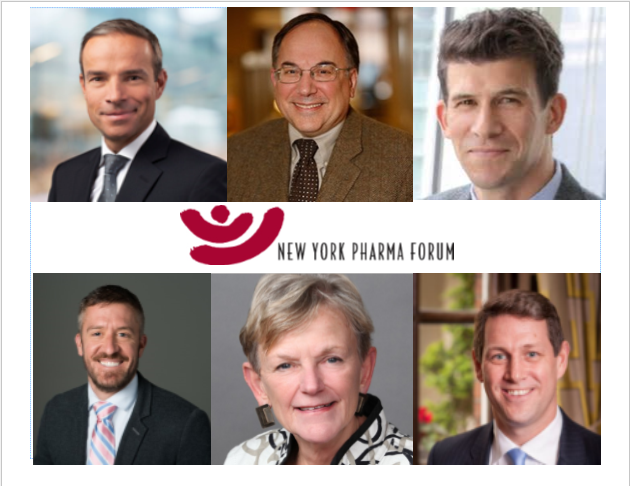 Sign up now for New York Pharma Forum’s 28th Annual General Assembly. There is no cost to attend. (Register here for the 28th Annual Dinner – payment required). (For hotel accommodation information, please click here. To view the official invitation, click here. This symposium will explore a new global health ecosystem model, where innovation, strategic funding and alliances accelerate development of new medicines and global access. The panelists will discuss effective mechanisms for providing value to underserved communities while creating growth and meeting business goals. Prior to this appointment, Mike led the company’s business in Sweden and the UK, focusing on the development and implementation of innovative, customer-centered approaches that delivered improved business results and accelerated patient access to our medicines. Previously, Mike was Executive Director of Strategic Initiatives and Operations and has also held positions in Finance, Business Development and in Investor Relations. 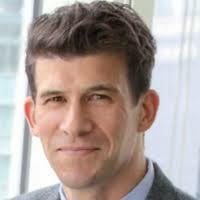 Dr. Slingsby is CEO and Executive Director of the Global Health Innovative Technology (GHIT) Fund. Previously, he was the global head for access strategies at Eisai Co., Ltd. where he developed new business models for R&D and overlooked market access in the developing world. Dr. Slingsby has helped launch numerous start-ups in Japan and the U.S., and currently advises at the Graduate School of Medicine at the University of Tokyo and Kyoto University. He sits on the Public-Private Partnership Forum at the Institute of Medicine in the U.S., and has published over 50 peer-reviewed articles on medicine and public health in both Japanese and American literature. Dr. Slingsby graduated with honors from Brown University, earned Master’s and Doctorate degrees from Kyoto University and the University of Tokyo, and received his Medical Doctorate from the George Washington University. He is a former professional triathlete and member of the U.S. World Cup Team. Andrin Oswald, M.D., is the director of Life Sciences Partnerships at the foundation, overseeing the foundation’s engagements with corporations. Andrin joined the foundation in 2016. He previously was the CEO and Division Head of Novartis Vaccines and Diagnostics from 2008 until its acquisition by GSK in 2015. 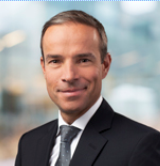 In 2013, Dr. Oswald also became Chairman of the Board of the Novartis Foundation for Sustainable Development and previously, he was CEO of Speedel holding AG and Global Head of Pharmaceutical Development Franchises in the Novartis Pharmaceuticals Division, both in Switzerland. Dr. Oswald joined Novartis from McKinsey & Company, Switzerland, where he was an Associate Principal and between 2002 and 2003, he also served as a Delegate of the International Committee of the Red Cross (ICRC) in Nepal. Dr. Oswald holds a doctorate in medicine from the University of Geneva. Darren Back is Senior Director, Social Investments within Pfizer Corporate Responsibility, and Senior Director of Programs for the Pfizer Foundation. In these roles, Darren drives Pfizer’s social investment strategy, leveraging Pfizer Inc. and Pfizer Foundation resources to address healthcare needs of underserved communities around the world. This work includes international medicine donation programs, charitable grants to support building healthcare capacity, disaster relief and humanitarian response, and international corporate volunteering programs. Darren also works to help drive Pfizer’s overall global public health vision and strategy, in addition to working closely with Pfizer’s businesses to develop sustainable commercial strategies in low-and-middle-income countries. Prior to this role, Darren was Senior Director and Communications Lead for Pfizer’s Portfolio, Strategy & Investment governance body and the Strategy, Portfolio and Commercial Operations organization. In this position, Darren drove Pfizer’s pan-enterprise engagement strategy on R&D investment planning and related change, as well as communications solutions for the intersection of corporate strategy and corporate affairs. During his time at Pfizer, Darren has also been integral in helping reposition the company in science and medicine, leading change communications initiatives that have helped drive the R&D transformation. Prior to joining Pfizer, Darren has more than 15 years of strategic healthcare consultancy experience, most recently being Senior Vice President and Deputy Head of Hill & Knowlton’s New York Healthcare practice. In this leadership position Darren provided corporate and marketing communications solutions for Amgen, Pfizer, Merck and Johnson & Johnson. Prior to relocating to the U.S., Darren also worked closely in the UK with GSK, Novartis, Merck and AstraZeneca. Darren holds a BSc in Pharmacology from Kings College, London, and is currently studying his MPH in Global Public Health from London School of Hygiene and tropical Medicine, London. 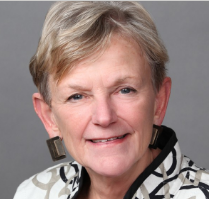 Ambassador Sally G. Cowal is Senior Vice President, Global Cancer Control, at the American Cancer Society. She leads the Society’s efforts to reduce the global burden of cancer primarily through advocacy for effective tobacco control measures; improvement of access to cancer screening, treatment and pain relief; and collaborations with other cancer control organizations, advocates, and governments. Ambassador Cowal has been a key contributor to the public health and nonprofit arenas, having helped found the Joint United Nations Program on HIV/AIDS (UNAIDS) in Switzerland and serving as its director for external relations to raise awareness of AIDS as a public health and economic issue, as well as serving as founder, president and CEO of the Cuba Policy Foundation, a nonprofit organization dedicated to the study of the benefits of expanding trade and people-to-people contact with Cuba. She served as U.S. Ambassador to the Republic of Trinidad and Tobago, appointed by former Presidents George H.W. Bush and William J. Clinton. Cowal has also served as U.S. Deputy Assistant Secretary of State, minister counselor for public affairs at the U.S. embassy in Mexico, and counselor for political affairs at the U.S. Mission to the United Nations. Other foreign service assignments have taken her from India to Colombia to Israel. She joined the American Cancer Society recently from Population Services International (PSI). Cowal is a graduate of DePauw University (B.A.) and George Washington University (M.P.A.). Most recently she was elected to the 2016-2018 Board of Directors of the Switzerland-based Union for International Cancer Control (UICC). Jeff Sturchio is a global health thought leader whose commitment to change is rivaled only by his encyclopedic knowledge of the issues. He is a trusted counselor for senior leaders in the private sector, multilateral organizations, governments, NGOs and foundations. 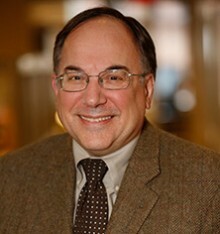 Jeff previously served as Vice President of Corporate Responsibility at Merck & Co., Inc., Kenilworth, NJ USA, and President of The Merck Company Foundation, where he was responsible for major public-private partnerships, including the Mectizan Donation Program and the African Comprehensive HIV/AIDS Partnerships in Botswana. He has also served as Chairman of the Corporate Council on Africa and President and CEO of the Global Health Council. Jeff is chairman of the BroadReach Institute for Training and Education and a member of the boards of the Corporate Council on Africa, Friends of the Global Fight Against AIDS and the Museum of AIDS in Africa. He is also currently a visiting scholar at the Institute for Applied Economics, Global Health and the Study of Business Enterprise at The Johns Hopkins University; Senior Associate at the Center for Strategic and International Affairs; a principal of the Modernizing Foreign Assistance Network; Fellow of the American Association for the Advancement of Science; a member of the Council on Foreign Relations; and an advisor to amfAR, the Clinton Global Initiative, Intrahealth International and the NCD Alliance. He has published widely on business and global health, including the book, Noncommunicable diseases in the developing world: addressing global gaps in policy and research(edited with L. Galambos, Johns Hopkins University Press, 2013). The General Assembly will be followed by New York Pharma Forum’s Annual Dinner (for which there is a $395* per person or a $3,800* per table of 10 charge) at the New York Academy of Medicine. Changing rooms will be provided for those who wish to change into black tie attire for the dinner. *Registration and payment made by November 17th at 5 p.m. (ET) will be charged $395 per person or $3,800 per table of 10. After 5 p.m. (ET) on November 17th, registration cost increases to $445 per person or $4,300 for a table of 10. Interested in sponsoring this event? Learn more.